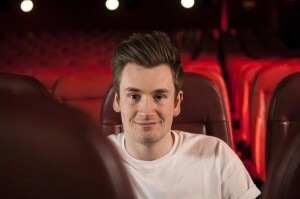 UK-based producer Novel Entertainment is adding some digital starpower to its lineup for Cinemaniacs, tapping YouTuber Oli White to host the new factual entertainment series. Commissioned by CBBC, the eight-part magazine series explores all facets of making and watching movies from a humorous angle. Its new host, White, is a 20-year-old British YouTube star. An avid film fan, the vlogger has gained popularity for his weekly comedy and entertainment videos, which feature celebrity interviews, challenges and collaborations with other YouTubers. His YouTube channel currently has more than 22.6 million views. Novel Entertainment hopes that White will serve as an inspiration for young filmmakers to take content production into their own hands. Aimed at kids ages six to 12, Cinemaniacs features a host of film experts and celebs, including director Ron Howard and actors Sir Ian McKellen and Michael Sheen, as well as Harry Potter star Bonnie Wright and Diary Of A Wimpy Kid creator Jeff Kinney. The series is produced by Novel Entertainment, in association with series producer and director of the series Julian Kemp, associate producer Michael Sheen and Into Film, a film-education nonprofit organization.